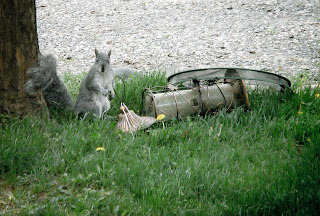 MountainEars Farm: Who's stealing the bird seed! Who's stealing the bird seed! Another project begins soon! Kitchen Remodel! Well, apparently this little guy is not too shy to admit to the crime!